With a new-found sense of self-confidence, Hobart, Tasmania’s oldest city, is no doubt brimming with intrigue for the avid traveler. Although there might be a small-town feel to it, the list of Hobart attractions goes on and on. 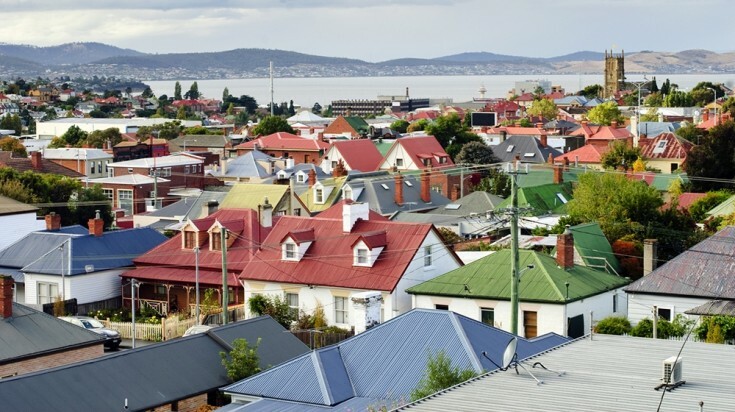 With its beautiful Georgian and Victorian architecture, a booming food scene, and a wide variety of arts and crafts to take home as souvenirs, you’ll have more than enough to do in Hobart’s 15+ hours of sunshine per day during the height of summer. Often referred to as the gateway to Antarctica and the Southern Ocean, Hobart is also a perfect starting point for holidaymakers looking to embark on an enticing boating adventure. If you’re left pondering about the top things to do in Hobart, look no further than this travel guide, which will provide you with a wealth of information to help you plan the trip of a lifetime! Depending on what exactly you’d like to see and do in Hobart, there are a few ideal times during the year to visit Tasmania’s capital city. During the summer months of December through February, Hobart experiences its peak tourist season. This means that the crowds might be a bit more hectic during this time of the year, so if you’re looking to enjoy a less crammed holiday, the off-season between March and May might be more ideal for your needs. The winter months from April to November are also a great time for hiking in cooler weather. 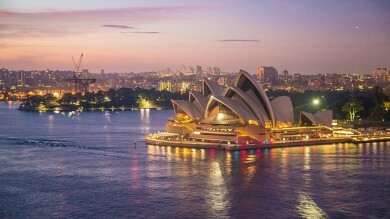 For more information check out our travel guide on Best Time to Visit in Australia. 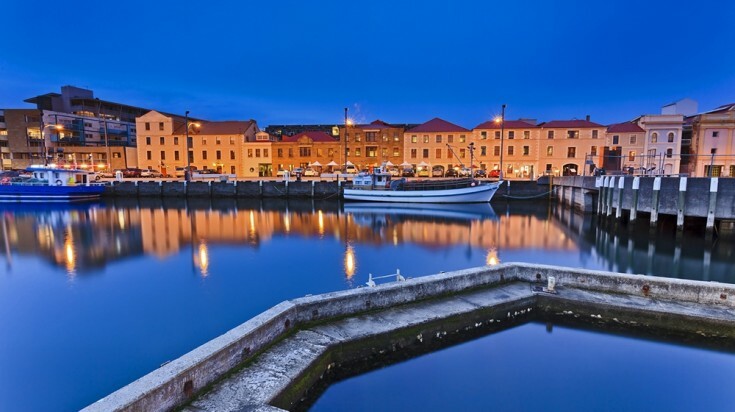 Visiting the Hobart Waterfront is a great way to get started on your list of things to do. As one of the leading Hobart attractions and the center of life in the city, the waterfront is a must-see. Spend a few hours wandering the waterfront where you can enjoy the stunning views of Mount Wellington, visit the Victoria Dock or stop by the renowned Henry Jones Art Hotel. Enjoying some fish and chips while sipping on a sundowner at one of the many high-quality eateries along the pier is almost a mandatory Hobart experience. Recommended time to go: Any time! Try morning when you can watch the busy seafront activities while enjoying a tasty brunch or evening as the sun sets. Saturdays there is a lively market. Tips: If you’re into food, schedule your holiday during the Taste of Tasmania food festival, which is held each year around the New Year’s Eve at the Hobart waterfront. Battery Point, a historical suburban resident in Hobart. A visit to Battery Point, a suburb of Hobart and one of the best preserved historic places of interest in the area, is another highly recommended experience. Along with narrow winding streets, preserved historical buildings and affluent residents, on offer here are some of the best collections of the early dwellings of the city, the “village green” of Arthur’s Circus, and a selection of excellent eateries serving up delicacies along Hampden Road. Location: Battery Point is a suburb immediately south of the central business district, accessible via Hampden Road, the “main street” of the area. Recommended time to go: Visit the historic area during any time of the day to experience some of the best views. Tips: Make sure you get around to seeing the Narryna Heritage Museum for a taste of the city’s Victorian heritage. The museum was established in 1846. As far as things to see in Hobart go, the Tasmanian Museum and Art Gallery is a pretty big deal. 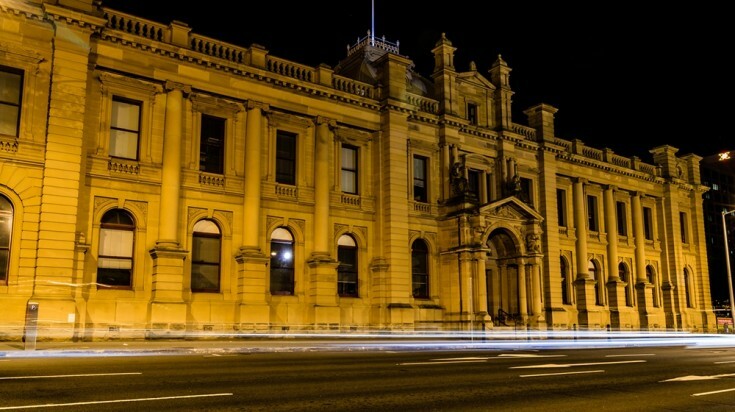 From showcasing the state’s cultural and natural heritage through art and science to the museum’s use of one of Tasmania’s oldest buildings, visiting the museum will require at least a day worth of exploring. The museum is based in a three-story building and follows a route passing through the Bond Store Galleries, the Argyle Galleries, and the Henry Hunter Galleries, which are but a few of the highlights. Recommended time to go: The museum is open between 10 am and 4 pm. From December 26 to March 31 it is open daily and from April 1 to December 24 it is closed on Mondays. Tips: Entry to the museum is free, and there are 40-minute guided tours which run Wednesdays through Sundays at 11 am, 1 pm, and 2 pm, so make sure you seize the opportunity of enjoying an in-depth explanation of Tasmania’s history. If you have a day off and are left wondering what to do in Hobart, an escape to Salamanca Place is the ideal solution to your problem. It’s one of the city’s most popular attractions, and is situated close to the Hobart waterfront. What used to be a collection of whaling warehouses has been flawlessly converted into a variety of theatres, pubs, cafés, galleries, and craft shops. Recommended time to go: Market stalls are usually up and running from 9 am and stay open until sundown. Tips: Make sure you visit Salamanca Place’s famously vibrant Saturday market for the amazing foodie scene and the opportunity of scoring some great deals on crafts and art. 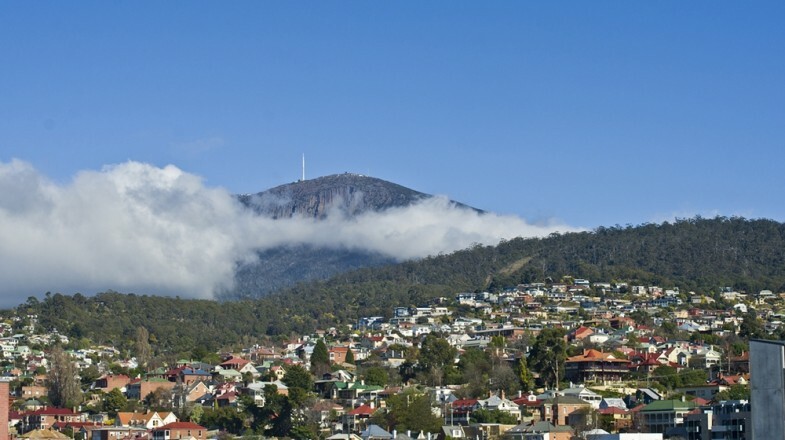 Standing high at 1,270 meters, hiking to Mount Wellington is a huge attraction in and around Hobart. It is also one of the top things to do while in Tasmania, The mountain resides in the lovely Wellington Park reserve. Take the slow and winding 21-kilometer road from the Huon Highway to the summit and you’ll be treating yourself to an unforgettable experience. 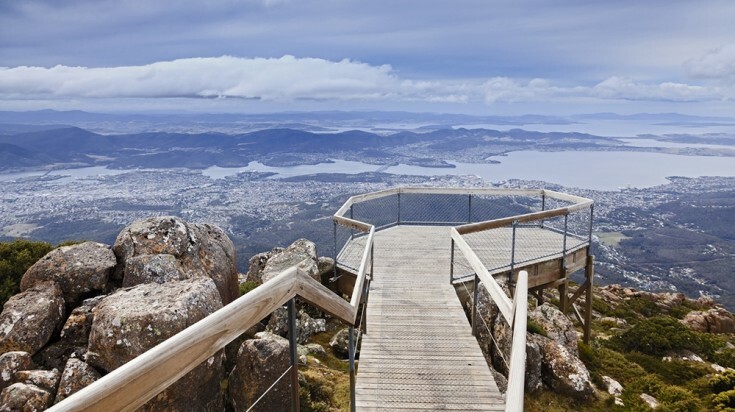 Some of the most breathtaking views over Hobart can be seen from the pinnacle, and if you’re somewhat of an adrenaline junkie, you can up the ante by biking your way all the way down from the peak. Other possible activities in the park itself include hiking the historic walking trails, horseback riding, birdwatching or picnicking in the serene natural environment. Recommended time to go: The park itself is always open (and free!) and pinnacle at the summit is open from 8 am to 10 pm (September 1 to April 30) and from 8 am to 4:30 pm (May 1 to August 31). The open-air lookouts at the summit are always open. Tips: Mount Wellington is well known for its sudden changes in temperature, so be sure to pack some warm clothes for sightseeing expeditions. For a relaxing day out, a visit to the Royal Tasmanian Botanical Gardens comes highly recommended. This Hobart gem changes its scenery with the onset of every new season, which is what makes it so beautiful to see. The tranquil Japanese gardens are a highlight in the park, but the native and exotic plants throughout the gardens are also remarkable. Recommended time to go: During opening hours, which range from 8 am to 6:30 pm, depending on the month or season. Tips: Make sure you sit down for a delicious cup of Devonshire tea at the café located within the gardens, it’s a real treat. 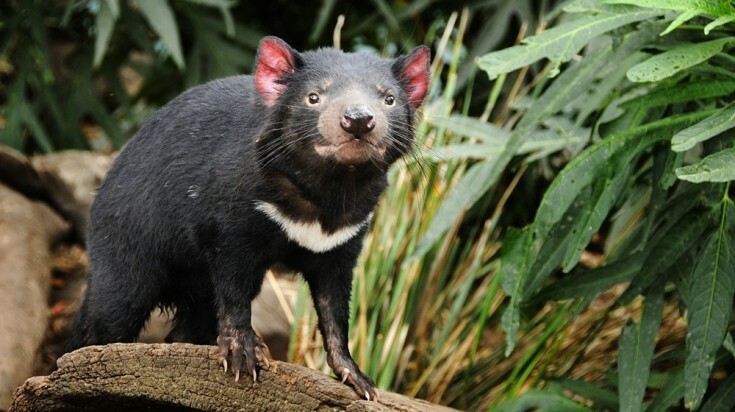 The Tasmanian Devil is a native to Tasmania. 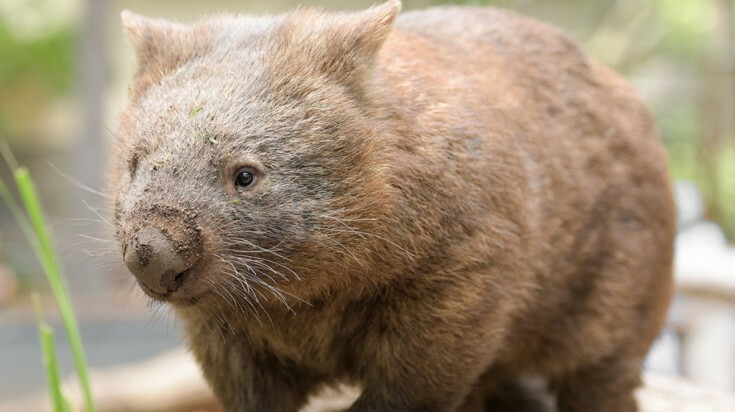 Wombats are a common sight. 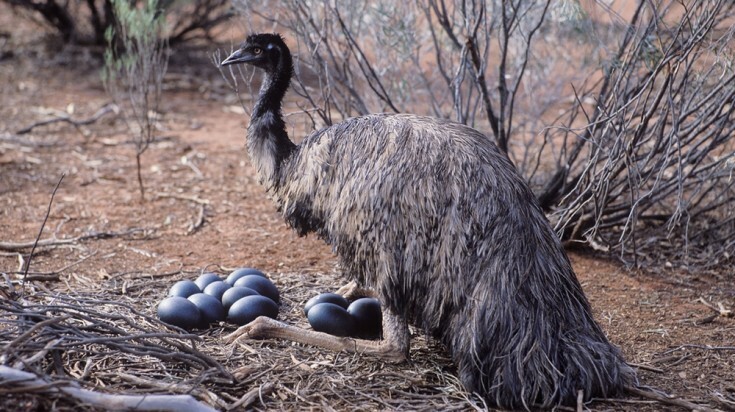 Emu guarding its eggs in its nest. 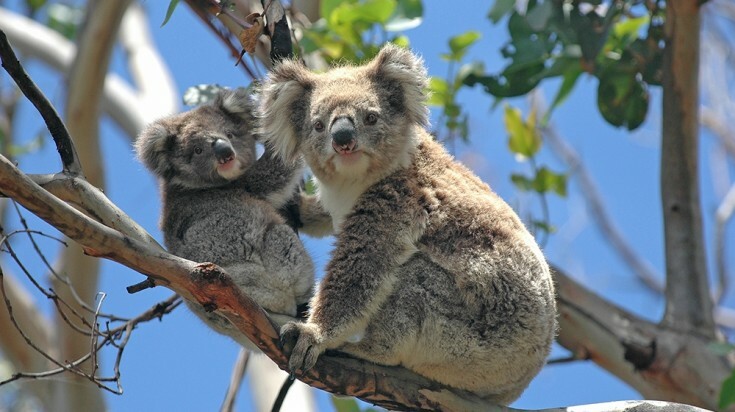 Koalas hang out in eucalyptus trees. For an opportunity to experience an up-close encounter with a vast variety of local wildlife, a visit to the Bonorong Wildlife Sanctuary should definitely feature on your travel itinerary. The sanctuary is located roughly 27 km north of Hobart and is home to species such as the infamous Tasmanian devil, Tasmanian pademelon, koalas, emus, wombats, and golden possums, to name but a few. While this attraction isn’t exactly in Hobart, it still makes the ‘highly recommended’ list, especially if you’re an animal-lover. Recommended time to go: The sanctuary is open 9am – 5pm everyday, and tours runs at 11.30, 2 and 3:30. If you’re keen on participating in a guided walk, make sure you get there by 11! Tips: Your admission fee includes a bag of kangaroo food, which means that kids will have great fun feeding the free-roaming wallabies and kangaroos. 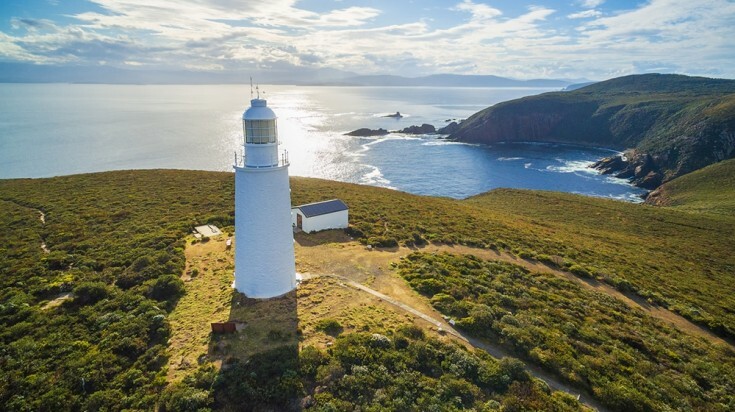 Cape Bruny Lighthouse is located in the southern tip of Bruny Island. For something a little different a bit outside of Hobart, you can take a 20-minute car ferry from Kettering (about 40 minutes drive south of Hobart) to Bruny Island for a great day trip. Aside from the scenic ferry ride, there’s a lot to see and do on the island, such as sampling delicacies at Bruny Island Cheese Co, tasting fresh oysters from Get Shucked, or sampling the offerings from Bruny Island Premium Wines. Location: Bruny Island, about an hour or more from Hobart. 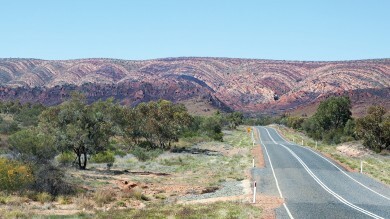 Catch the ferry from Kettering, 40 minutes drive from Hobart. Recommended time of the day: The ferry from Kettering departs every 30 minutes to Bruny Island, starting from 6:30 am. Be sure to double check the schedules as there are two ferries that offer rides between the island and the mainland, and they operate on different time tables. Tips: Be sure to stop by the Tasmanian House of Whiskey for delicious ice cream. Whether you’re into history, hiking, shopping, food or flowers, there’s more than enough to do in and around Hobart!